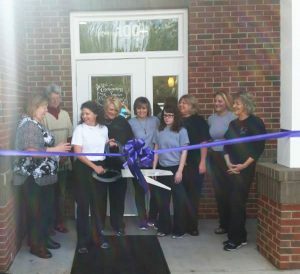 We’re excited to tell you that we’re in our brand new dental office in Pittsboro! You are going to LOVE it and you’re invited to our open house Saturday March 25, 2017 from 11:00 a.m. until 4:00 p.m.
Because we’re a family dentistry office, of course there will be fun for the entire family! We’re going to have a bounce house for the kids, food and some awesome door prizes. Please come out and tour the new offices and meet Enchanting Smiles lovely staff.